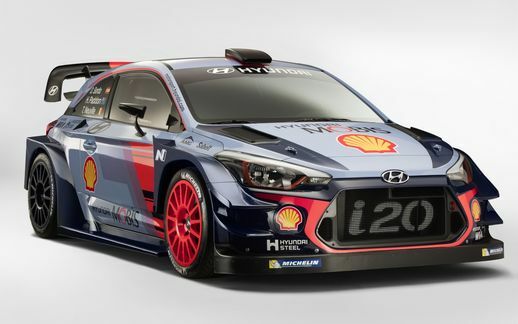 Hyundai got a jump on the competition by being the first team to show off their 2017-spec car, the i20 Coupe, for the upcoming WRC season. There are going to be a new set of regulations in place for this season, which means a greater importance being added to aerodynamics, mechanical grip, and engine power. These changes have led Hyundai to implement a testing program for the new car, as well as taking part in the upcoming races. One thing that will remain unchanged for Hyundai Motorsport is their driver line-up. Hayden Paddon and Dani Sordo both signed contract extensions that will keep them with the Hyundai team through the end of 2018. There was talk of Thierry Neuville making the jump to Citroen, but he is also now on board for 2 more years. 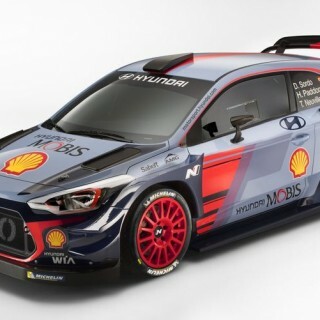 Hyundai team principal Michael Nandan spoke about the upcoming challenges with the new regulations, saying that it is something that the team has tackled with real enthusiasm. He enjoys the fact that every team is essentially starting from scratch, and he said that the Hyundai team will be using all they have learned in the past 3 years to move forward. Nandan was delighted with the second-place finish last year, and he believes that the new 2017 Hyundai i20 WRC will help them challenge for the top spot in the upcoming season. Hyundai re-entered the WRC fray back in 2013, and made steady progress from the start. They were able to take the second spot in both the driver’s championship (Thierry Neuville) and the manufacturers’ standings this year. Stay tuned for more news about Hyundai.